Call Us For A Disposal Quote866-540-8588Mon - Fri 9:30-5:00PM EST. EXIT signs that glow in the dark often contain a radioactive gas called tritium. These signs do not require electricity or batteries and can be used where it is hard to install electric signs, such as above doors. They serve an important safety function by marking exits to be used during power outages and emergencies. The signs pose little or no threat to public health and safety or security. Tritium, also known as 3H or H-3, is a radioactive isotope of hydrogen. In EXIT signs the gas is contained in sealed glass tubes lined with a light-emitting compound. The tritium gives off low-energy beta radiation that causes the lining to glow. This type of radiation cannot penetrate a sheet of paper or clothing. If inhaled, it leaves the body relatively quickly. Tritium gas is odorless, colorless and tasteless, and is lighter than air. There are a couple ways to know whether an EXIT sign contains tritium. When the lights are off, tritium will make the word EXIT glow green or red. The sign should also have a permanent warning label that mentions tritium, 3H or H-3; displays the three-bladed radiation warning symbol; and states “Caution-Radioactive Materials.” If all four letters in EXIT are fully lit, the sign is working properly. If not, the sign may be damaged or have reached the end of its working life. Many kinds of facilities across the United States use tritium EXIT signs, including public and private office buildings, theaters, stores, schools and churches. The NRC estimates there are more than two million tritium EXIT signs in use in the United States. Manufacturers and distributors of tritium EXIT signs are “specific licensees,” meaning they must apply for and receive a radioactive materials license from the NRC or an Agreement State.i Facilities that use tritium EXIT signs are considered “general licensees,” meaning they do not need a specific license to use the signs. The signs, considered “generally licensed devices,” are designed to be inherently safe so they can be used without the need for radiation training. But the signs are still subject to certain regulatory requirements.ii Most important is the requirement for proper disposal, because a damaged sign could contaminate the immediate area and require expensive cleanup. Manufacturers and distributors must notify purchasers of the requirements for generally licensed devices. The general licensee must put one person in charge of meeting those requirements. The general licensee must also report any changes affecting a device or the person responsible for it. General licensees may be inspected by the NRC or an Agreement State and may face penalties for violating the regulations. • NOT give away or sell the sign unless it is to remain in use at its original location; in such a case, the general licensee making the transfer must give the new owner a copy of the regulations and report the transfer to the NRC or Agreement State within 30 days. Tritium EXIT signs must NOT be disposed of as normal trash. To dispose of a sign properly, a general licensee must transfer the sign to a specific licensee—such as a manufacturer, distributor, licensed radioactive waste broker, or licensed low-level radioactive waste disposal facility. These facilities may charge a fee for disposing of the sign. Within 30 days of disposing of a sign, the general licensee must file a report to the NRC or Agreement State. More information about the regulatory requirements for tritium exit signs can be found at 10 CFR Part 31.5. Including any concern involving a nuclear reactor, nuclear fuel facility, or radioactive materials. Note: Calls to this number are not recorded between the hours of 7:00 a.m. to 5:00 p.m. Eastern Time. However, calls received outside these hours are answered by the Incident Response Operations Center on a recorded line. Some materials and activities are regulated by Agreement States and States: Learn more about Non-Emergency Concerns Involving Agreement States and States. Learn more about NRC's Response to Non-Emergency Safety Concerns. • Any threat, theft, smuggling, vandalism, or terrorist activity involving a nuclear facility or radioactive materials. Note: Calls to this number are recorded. Learn more about NRC's Emergency Response Activities. (a) A general license is hereby issued to commercial and industrial firms and research, educational and medical institutions, individuals in the conduct of their business, and Federal, State or local government agencies to acquire, receive, possess, use or transfer, in accordance with the provisions of paragraphs (b), (c) and (d) of this section, byproduct material contained in devices designed and manufactured for the purpose of detecting, measuring, gauging or controlling thickness, density, level, interface location, radiation, leakage, or qualitative or quantitative chemical composition, or for producing light or an ionized atmosphere. (iii) An equivalent specific license issued by a State with provisions comparable to § 32.51 of this chapter. (2) The devices must have been received from one of the specific licensees described in paragraph (b)(1) of this section or through a transfer made under paragraph (c)(9) of this section. (i) Each record of a test for leakage or radioactive material required by paragraph (c)(2) of this section must be retained for three years after the next required leak test is performed or until the sealed source is transferred or disposed of. (ii) Each record of a test of the on-off mechanism and indicator required by paragraph (c)(2) of this section must be retained for three years after the next required test of the on-off mechanism and indicator is performed or until the sealed source is transferred or disposed of. (iii) Each record that is required by paragraph (c)(3) of this section must be retained for three years from the date of the recorded event or until the device is transferred or disposed of. (8)(i) Shall transfer or dispose of the device containing byproduct material only by export as provided by paragraph (c)(7) of this section, by transfer to another general licensee as authorized in paragraph (c)(9) of this section, or to a person authorized to receive the device by a specific license issued under parts 30 and 32 of this chapter, or part 30 of this chapter that authorizes waste collection, or equivalent regulations of an Agreement State, or as otherwise approved under paragraph (c)(8)(iii) of this section. (C) The date of the transfer. (D) Reports the transfer under paragraph (c)(8)(ii) of this section. (ii) The device is held in storage by an intermediate person in the original shipping container at its intended location of use prior to initial use by a general licensee. (10) Shall comply with the provisions of §§ 20.2201, and 20.2202 of this chapter for reporting radiation incidents, theft or loss of licensed material, but shall be exempt from the other requirements of parts 19, 20, and 21, of this chapter. (11) Shall respond to written requests from the Nuclear Regulatory Commission to provide information relating to the general license within 30 calendar days of the date of the request, or other time specified in the request. If the general licensee cannot provide the requested information within the allotted time, it shall, within that same time period, request a longer period to supply the information by providing the Director, Office of Federal and State Materials and Environmental Management Programs, by an appropriate method listed in § 30.6(a) of this chapter, a written justification for the request. (12) Shall appoint an individual responsible for having knowledge of the appropriate regulations and requirements and the authority for taking required actions to comply with appropriate regulations and requirements. The general licensee, through this individual, shall ensure the day-to-day compliance with appropriate regulations and requirements. This appointment does not relieve the general licensee of any of its responsibility in this regard. (13)(i) Shall register, in accordance with paragraphs (c)(13)(ii) and (iii) of this section, devices containing at least 370 megabecquerels (10 millicuries) of cesium-137, 3.7 megabecquerels (0.1 millicurie) of strontium-90, 37 megabecquerels (1 millicurie) of cobalt-60, 3.7 megabecquerels (0.1 millicurie) of radium-226, or 37 megabecquerels (1 millicurie) of americium-241 or any other transuranic (i.e., element with atomic number greater than uranium (92)), based on the activity indicated on the label. Each address for a location of use, as described under paragraph (c)(13)(iii)(D) of this section, represents a separate general licensee and requires a separate registration and fee. (ii) If in possession of a device meeting the criteria of paragraph (c)(13)(i) of this section, shall register these devices annually with the Commission and shall pay the fee required by Sec. 170.31 of this chapter. Registration must be done by verifying, correcting, and/or adding to the information provided in a request for registration received from the Commission. The registration information must be submitted to the NRC within 30 days of the date of the request for registration or as otherwise indicated in the request. In addition, a general licensee holding devices meeting the criteria of paragraph (c)(13)(i) of this section is subject to the bankruptcy notification requirement in § 30.34(h) of this chapter. (A) Name and mailing address of the general licensee. (B) Information about each device: the manufacturer (or initial transferor), model number, serial number, the radioisotope and activity (as indicated on the label). (C) Name, title, and telephone number of the responsible person designated as a representative of the general licensee under paragraph (c)(12) of this section. (D) Address or location at which the device(s) are used and/or stored. For portabble devices, the address of the primary place of storage. (E) Certification by the responsible representative of the general licensee that the information concerning the device(s) has been verified through a physical inventory and checking of label information. (F) Certification by the responsible representative of the general licensee that they are aware of the requirements of the general license. (iv) Persons generally licensed by an Agreement State with respect to devices meeting the criteria in paragraph (c)(13)(i) of this section are not subject to registration requirements if the devices are used in areas subject to NRC jurisdiction for a period less than 180 days in any calendar year. The Commission will not request registration information from such licensees. (14) Shall report changes to the mailing address for the location of use (including change in name of general licensee) to the Director, Office of Federal and State Materials and Environmental Management Programs, ATTN: GLTS, U.S. Nuclear Regulatory Commission, Washington, DC 20555–0001 within 30 days of the effective date of the change. For a portabble device, a report of address change is only required for a change in the device's primary place of storage. (15) May not hold devices that are not in use for longer than 2 years. If devices with shutters are not being used, the shutter must be locked in the closed position. The testing required by paragraph (c)(2) of this section need not be performed during the period of storage only. However, when devices are put back into service or transferred to another person, and have not been tested within the required test interval, they must be tested for leakage before use or transfer and the shutter tested before use. Devices kept in standby for future use are excluded from the two-year time limit if the general licensee performs quarterly physical inventories of these devices while they are in standby. (d) The general license in paragraph (a) of this section does not authorize the manufacture or import of devices containing byproduct material. 5 Persons possessing byproduct material in devices under a general license in § 31.5 before January 15, 1975, may continue to possess, use, or transfer that material in accordance with the labeling requirements of § 31.5 in effect on January 14, 1975. (1) By mail addressed: ATTN: Document Control Desk, Director, Office of Federal and State Materials and Environmental Management Programs, U.S. Nuclear Regulatory Commission, Washington, DC 20555–0001. (2) By hand delivery to the NRC’s offices at 11555 Rockville Pike, Rockville, Maryland. (3) Where practicable, by electronic submission, for example, via Electronic Information Exchange, or CD–ROM. Electronic submissions must be made in a manner that enables the NRC to receive, read, authenticate, distribute, and archive the submission, and process and retrieve it a single page at a time. Detailed guidance on making electronic submissions can be obtained by visiting the NRC ’s Web site at http://www.nrc.gov/site-help/e-submittals.html; by e-mail to MSHD.Resource@nrc.gov; or by writing the Office of Information Services, U.S. Nuclear Regulatory Commission, Washington, DC 20555–0001. The guidance discusses, among other topics, the formats the NRC can accept, the use of electronic signatures, and the treatment of nonpublic information. (b) The Commission has delegated to the four Regional Administrators licensing authority for selected parts of its decentralized licensing program for nuclear materials as described in paragraph (b)(1) of this section. Any communication, report, or application covered under this licensing program must be submitted to the appropriate Regional Administrator. The Administrators’ jurisdictions and mailing addresses are listed in paragraph (b)(2) of this section. (i) Activities in the fuel cycle and special nuclear material in quantities sufficient to constitute a critical mass in any room or area. This exception does not apply to license modifications relating to termination of special nuclear material licenses that authorize possession of larger quantities when the case is referred for action from NRC's Headquarters to the Regional Administrators. (ii) Health and safety design review of sealed sources and devices and approval, for licensing purposes, of sealed sources and devices. (iii) Processing of source material for extracting of metallic compounds (including Zirconium, Hafnium, Tantalum, Titanium, Niobium, etc.). 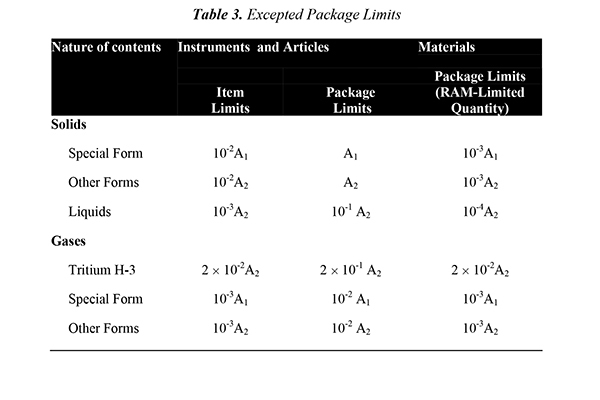 (iv) Distribution of products containing radioactive material under §§ 32.11 through 32.30 and 40.52 of this chapter to persons exempt from licensing requirements. (v) New uses or techniques for use of byproducts, source, or special nuclear material. (2) Submissions. (i) Region I. The regional licensing program involves all Federal facilities in the region and non- Federal licensees in the following Region I non-Agreement States and the District of Columbia: Connecticut, Delaware, and Vermont. All mailed or hand-delivered inquiries, communications, and applications for a new license or an amendment, renewal, or termination request of an existing license specified in paragraph (b)(1) of this section must use the following address: U.S. Nuclear Regulatory Commission, Region I, Nuclear Material Section B, Region I, 2100 Renaissance Boulevard, Suite 100, King of Prussia, PA 19406–2713; where email is appropriate it should be addressed to RidsRgn1MailCenter.Resource@nrc.gov. (ii) Region II. The regional licensing program involves all Federal facilities in the region and non-Federal licensees in the following Region II non-Agreement States and territories: West Virginia, Puerto Rico, and the Virgin Islands. All mailed or hand-delivered inquiries, communications, and applications for a new license or an amendment, renewal, or termination request of an existing license specified in paragraph (b)(1) of this section must use the following address: U.S. Nuclear Regulatory Commission, Region I, Nuclear Material Section B, Region I, 2100 Renaissance Boulevard, Suite 100, King of Prussia, PA 19406–2713; where email is appropriate it should be addressed to RidsRgn1MailCenter.Resource@nrc.gov. (iii) Region III. (A) The regional licensing program for mining and milling involves all Federal facilities in the region, and non-Federal licensees in the Region III non-Agreement States of Indiana, Michigan, Missouri and the Region III Agreement States of Minnesota, Wisconsin, and Iowa. All mailed or hand-delivered inquiries, communications, and applications for a new license or an amendment, renewal, or termination request of an existing license specified in paragraph (b)(1) of this section must use the following address: U.S. Nuclear Regulatory Commission, Region III, Material Licensing Section, 2443 Warrenville Road, Suite 210, Lisle, IL 60532 –4352; where e-mail is appropriate it should be addressed to RidsRgn3MailCenter.Resource@nrc.gov. (B) Otherwise, the regional licensing program involves all Federal facilities in the region and non-Federal licensees in the Region III non-Agreement States of Indiana, Michigan, and Missouri. All mailed or hand-delivered inquiries, communications, and applications for a new license or an amendment, renewal, or termination request of an existing license specified in paragraph (b)(1) of this section must use the following address: U.S. Nuclear Regulatory Commission, Region III, Material Licensing Section, 2443 Warrenville Road, Suite 210, Lisle, IL 60532–4352; where e-mail is appropriate it should be addressed to RidsRgn3MailCenter.Resource@nrc.gov. (iv) Region IV. (A) The regional licensing program for mining and milling involves all Federal facilities in the region, and non-Federal licensees in the Region IV non-Agreement States and territory of Alaska, Hawaii, Idaho, Montana, South Dakota, Wyoming and Guam and Region IV Agreement States of Oregon, California, Nevada, New Mexico, Louisiana, Mississippi, Arkansas, Oklahoma, Kansas, Nebraska, and North Dakota. All mailed or hand-delivered inquiries, communications, and applications for a new license or an amendment, renewal, or termination request of an existing license specified in paragraph (b)(1) of this section must use the following address: U.S. Nuclear Regulatory Commission, Region IV, Division of Nuclear Materials Safety, 1600 E. Lamar Blvd., Arlington, TX 76011–4511; where email is appropriate, it should be addressed to RidsRgn4MailCenter.Resource@nrc.gov. (B) Otherwise, the regional licensing program involves all Federal facilities in the region and non-Federal licensees in the following Region IV non-Agreement States and territory: Alaska, Hawaii, Idaho, Montana, South Dakota, Wyoming, and Guam. All mailed or hand- delivered inquiries, communications, and applications for a new license or an amendment, renewal, or termination request of an existing license specified in paragraph (b)(1) of this section must use the following address: U.S. Nuclear Regulatory Commission, Region IV, Division of Nuclear Materials Safety, 1600 E. Lamar Blvd., Arlington, TX 76011–4511; where email is appropriate, it should be addressed to RidsRgn4MailCenter.Resource@nrc.gov. (a) The package can be easily handled and properly secured in or on a conveyance during transport. (b) Each lifting attachment that is a structural part of the package must be designed with a minimum safety factor of three against yielding when used to lift the package in the intended manner, and it must be designed so that failure of any lifting attachment under excessive load would not impair the ability of the package to meet other requirements of this subpart. Any other structural part of the package which could be used to lift the package must be capable of being rendered inoperable for lifting the package during transport or must be designed with strength equivalent to that required for lifting attachments. (c) The external surface, as far as practicable, will be free from protruding features and will be easily decontaminated. (d) The outer layer of packaging will avoid, as far as practicable, pockets or crevices where water might collect. (e) Each feature that is added to the package will not reduce the safety of the package. (f) The package will be capable of withstanding the effects of any acceleration, vibration or vibration resonance that may arise under normal conditions of transport without any deterioration in the effectiveness of the closing devices on the various receptacles or in the integrity of the package as a whole and without loosening or unintentionally releasing the nuts, bolts, or other securing devices even after repeated use (see §§173.24, 173.24a, and 173.24b). (g) The materials of construction of the packaging and any components or structure will be physically and chemically compatible with each other and with the package tabbscontents. The behavior of the packaging and the package tabbscontents under irradiation will be taken into account. (h) All valves through which the package tabbscontents could escape will be protected against unauthorized operation. (3) Packages containing liquid tabbscontents will be capable of withstanding, without leakage, an internal pressure that produces a pressure differential of not less than 95 kPa (13.8 lb/in2). §171.15 Immediate notice of certain hazardous materials incidents. (7) Type of incident and nature of hazardous material involvement and whether a continuing danger to life exists at the scene. (6) During transportation by aircraft, a fire, violent rupture, explosion or dangerous evolution of heat (i.e., an amount of heat sufficient to be dangerous to packaging or personal safety to include charring of packaging, melting of packaging, scorching of packaging, or other evidence) occurs as a direct result of a battery or battery-powered device. (c) Written report. Each person making a report under this section must also make the report required by §171.16 of this subpart. Note to §171.15: Under 40 CFR 302.6, EPA requires persons in charge of facilities (including transport vehicles, vessels, and aircraft) to report any release of a hazardous substance in a quantity equal to or greater than its reportabble quantity, as soon as that person has knowledge of the release, to DOT's National Response Center at (toll free) 800-424-8802 or (toll) 202-267-2675. §171.16 Detailed hazardous materials incident reports. (5) A fire, violent rupture, explosion or dangerous evolution of heat (i.e., an amount of heat sufficient to be dangerous to packaging or personal safety to include charring of packaging, melting of packaging, scorching of packaging, or other evidence) occurs as a direct result of a battery or battery-powered device. (3) Retain a written or electronic copy of the Hazardous Materials Incident Report for a period of two years at the reporting person's principal place of business. If the written or electronic Hazardous Materials Incident Report is maintained at other than the reporting person's principal place of business, the report must be made available at the reporting person's principal place of business within 24 hours of a request for the report by an authorized representative or special agent of the Department of Transportation. (4) Damage, loss, or related cost changes by $25,000 or more, or 10% of the prior total estimate, whichever is greater. (iii) Connection or disconnection of loading or unloading lines, provided that the release does not result in property damage. • Instruments and manufactured articles are clocks, electronic tubes, or apparatus having radioactive material as a component part. • Temperature range from -40º C. to +55º C.
This online guide was developed to assist in the compliant preparation of hazmat / dangerous goods shipments for the UPS parcel system. As new regulations emerge, UPS will evaluate the impact on our hazmat service offering, and will post updates to this online guide. Visit this site routinely, as well as the D.O.T. website, to obtain current information that may affect the tendering of hazmat shipments to UPS. Refer to the tabbscontent in the UPS Guide for Shipping Ground and Air Hazardous Materials for the information you will need to properly prepare your shipment for transportation within the UPS system. It is the shipper's responsibility to know the regulations, and to properly classify, package, label and mark shipments tendered into transportation. If you have any questions about shipping hazardous materials with UPS, please call the UPS Hazardous Materials Support Center at 1-800-554-9964. Agreement States, have entered into agreements with NRC that give them the authority to license and inspect byproduct, source, or special nuclear materials used or possessed within their borders. Any applicant, other than a Federal agency or Federally recognized Indian tribe, who wishes to possess or use licensed material in one of these Agreement States should contact the responsible officials in that State for guidance on preparing an application. These applications should be filed with State officials, not with NRC. Click on a given state (or state code listed below) for the names of the Agreement State and Non-Agreement State Directors and State Liaison Officers. • Organization of Agreement States, Inc.
417 Federal St., Jess S. Cooper Bldg. Air & Radiation Management Adm.
New Mexico State Environment Dept. Empire State Plaza-Corning Tower-12th Fl. Empire State Placa-Corning Tower-16th Fl. Department of Health-James Madison Bldg. 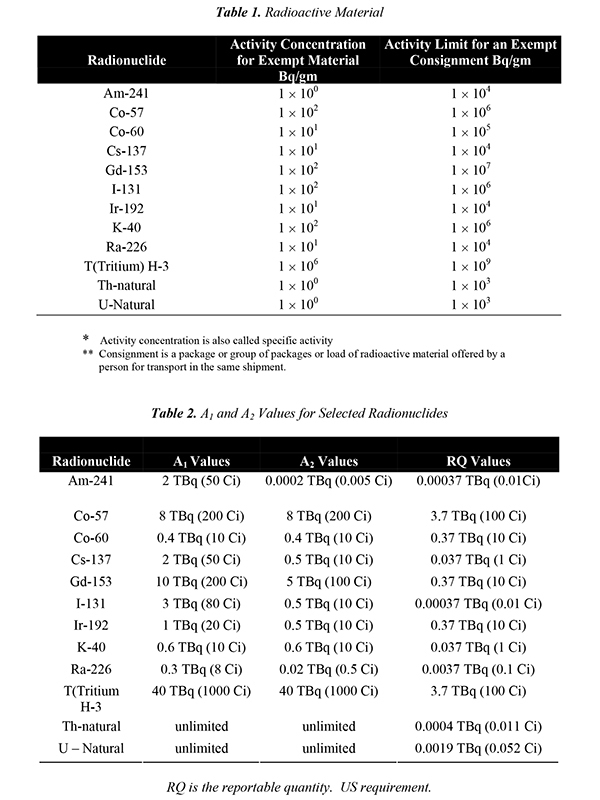 Radiation, Toxics and Indoor Air Div.